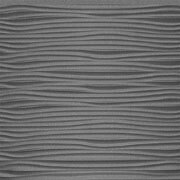 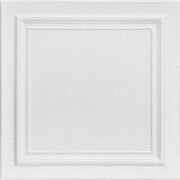 The classic look of our R 47 Romanesque Wreath styrofoam decorative ceiling tiles adds a look of strength, stability, and beauty to any room in which these tiles are installed. 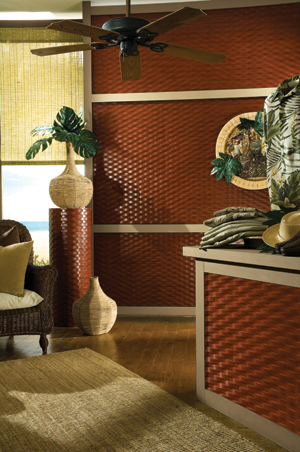 The ancient Romans appreciated beauty wherever they found it, and they would be sure to find it in a room decorated with these stately tiles. 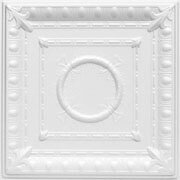 The perfectly round central wreath is nestled within a set of equally perfectly symmetrical decorative squares, one created with solid lines, and the other created with a floral design. 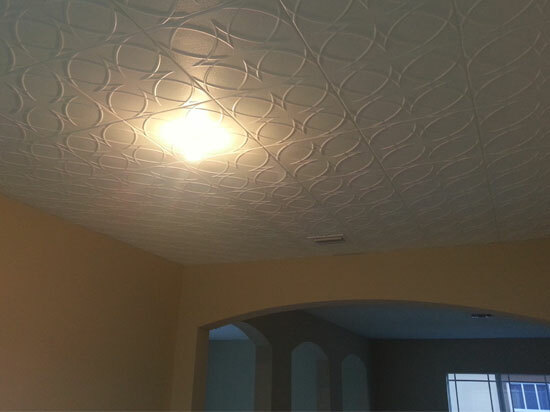 No matter where it is installed, the R 47 Romanesque Wreath styrofoam decorative ceiling tile is sure to become a classic. 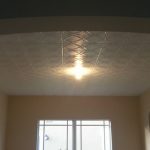 One of our most popular and beautiful tiles, the Circles and Stars decorative Styrofoam ceiling tile portrays a futuristic four-pointed star surrounded by sweeping curves, ovals, and circles that gently and subtly flow from tile to tile, so that your ceiling is covered with a variety of interesting shapes and lines. 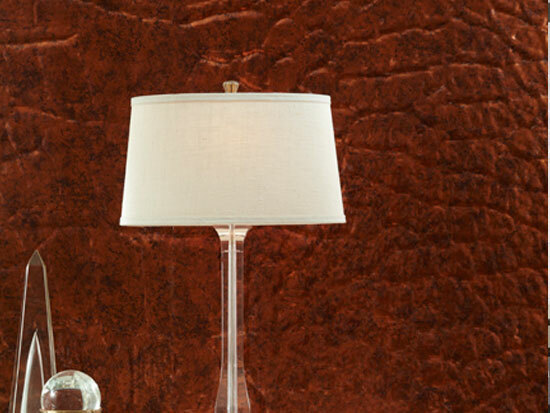 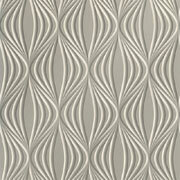 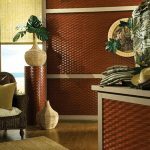 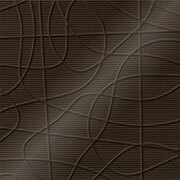 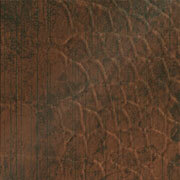 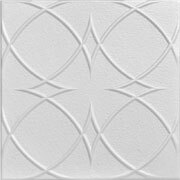 Easily installed in less than a day, these interesting tiles are also available in several different colors and finishes. 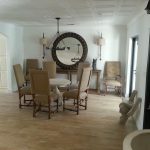 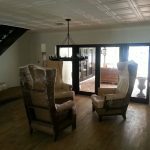 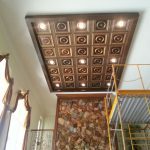 These tiles are so versatile that they will look wonderful wherever they are installed, including businesses, restaurants, offices, and any room in your home, such as bedrooms, kitchens, dining rooms, and even bathrooms. 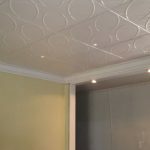 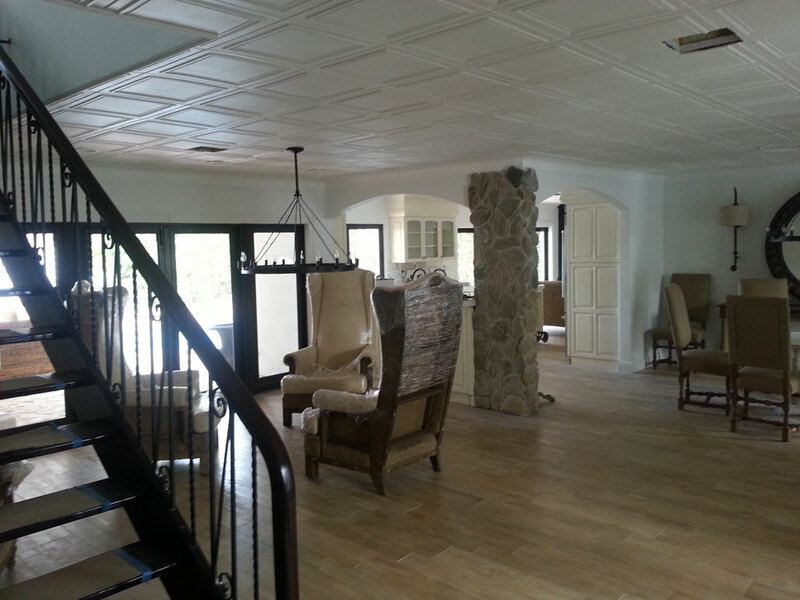 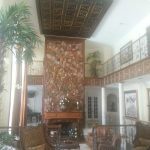 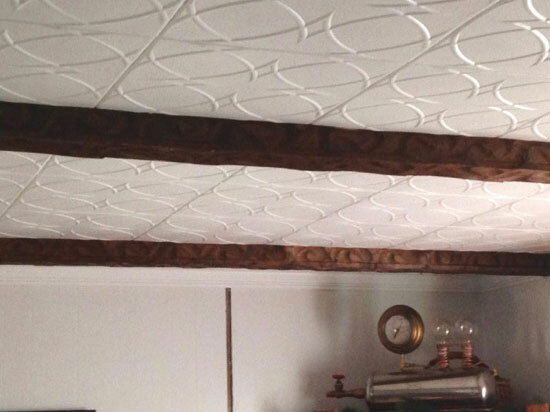 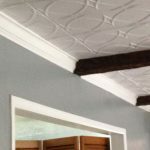 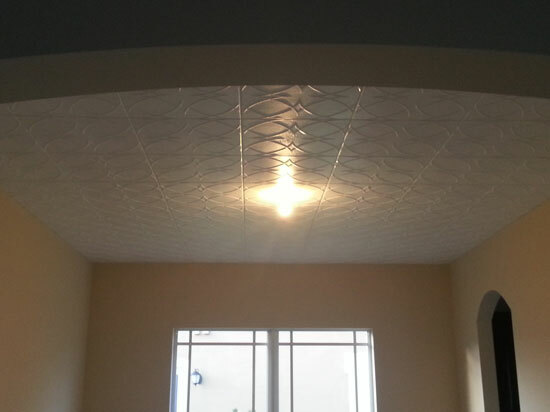 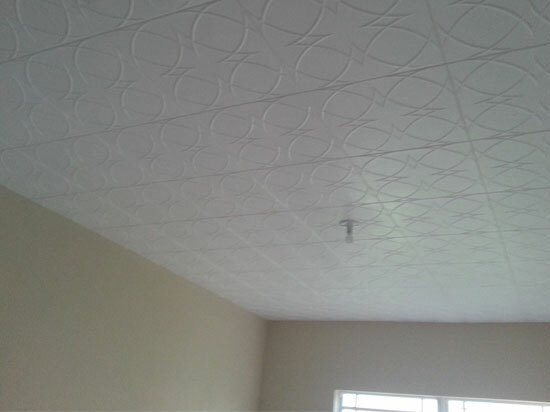 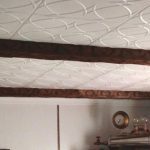 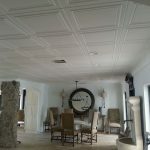 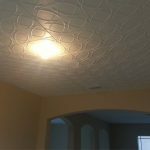 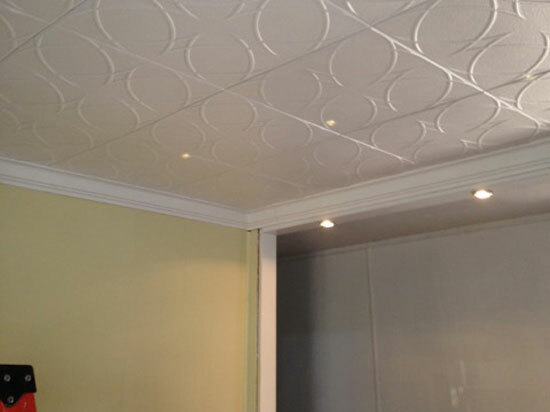 Nothing imparts a feeling of stability and trustworthiness like a simple beautiful ceiling covered with our wonderful R 24 Line Art styrofoam decorative ceiling tiles. 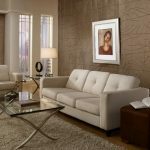 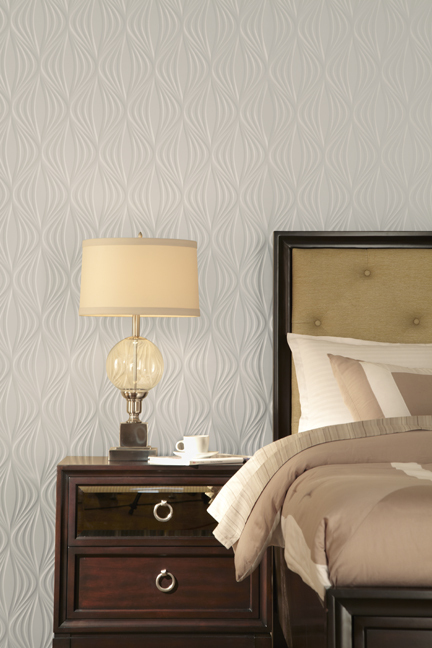 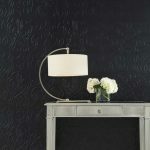 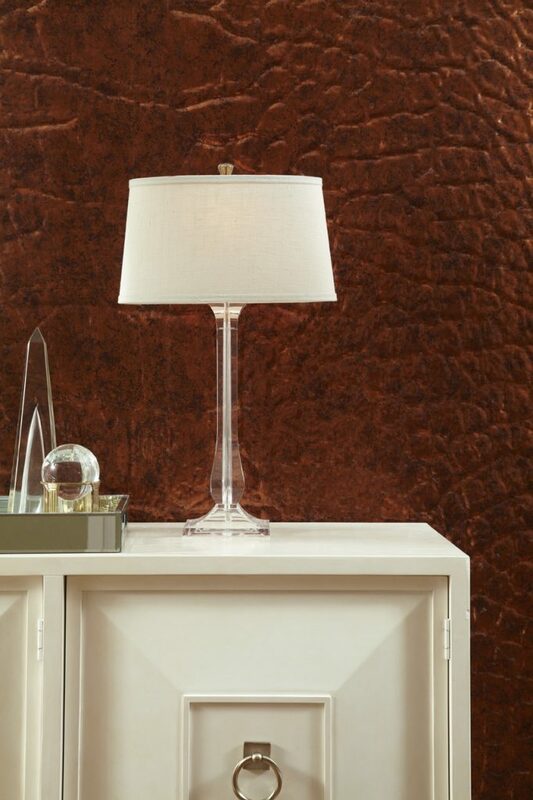 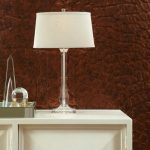 At first glance, these tiles appear to be plain square tiles, but a closer look shows the subtle square borders of varying widths and depths, bringing a feeling of suave sophistication and quiet elegance to your room. 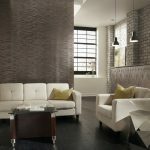 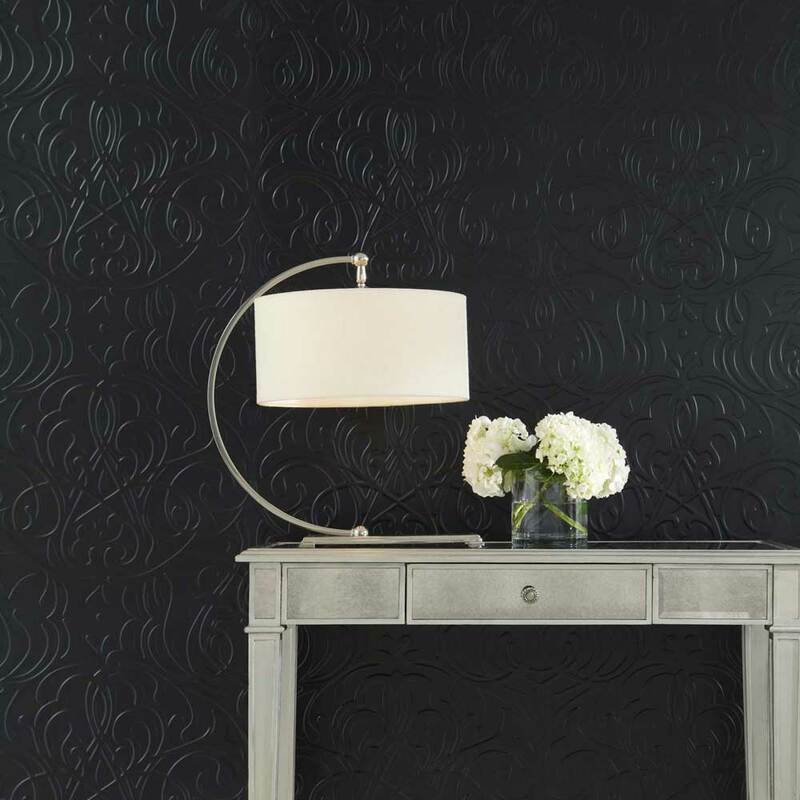 Sleek and modern, yet timeless, these tiles are ideal for any room, including a formal dining room, a business, or even a classroom. 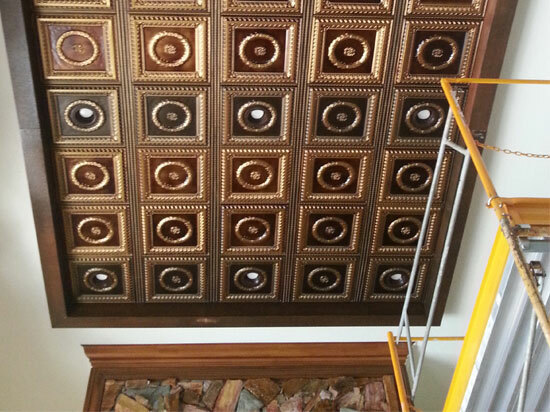 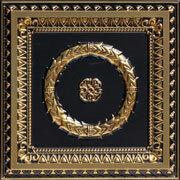 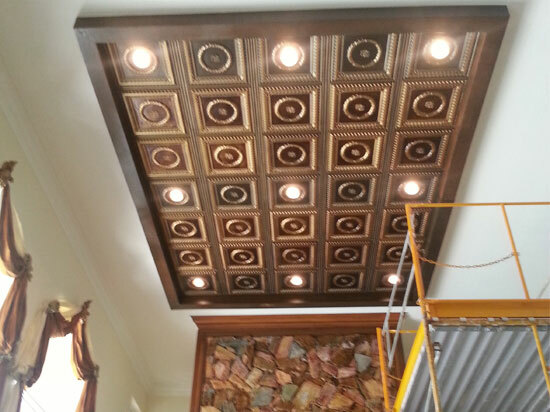 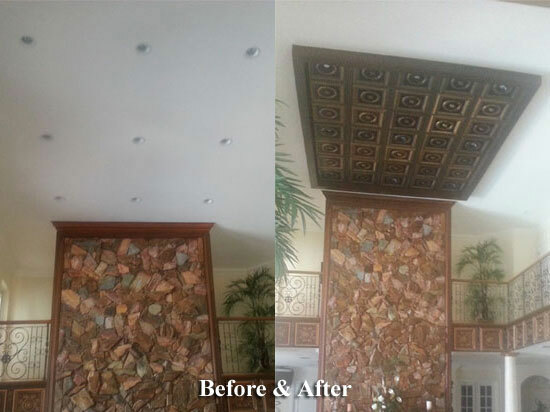 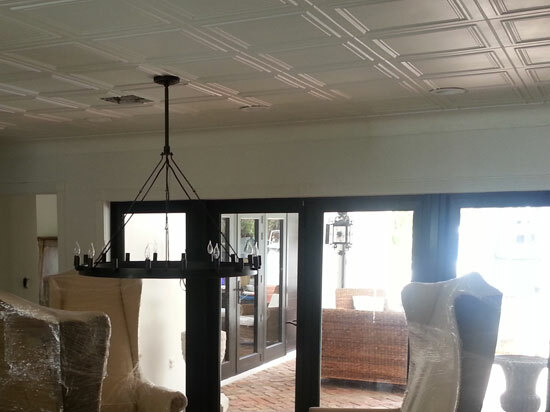 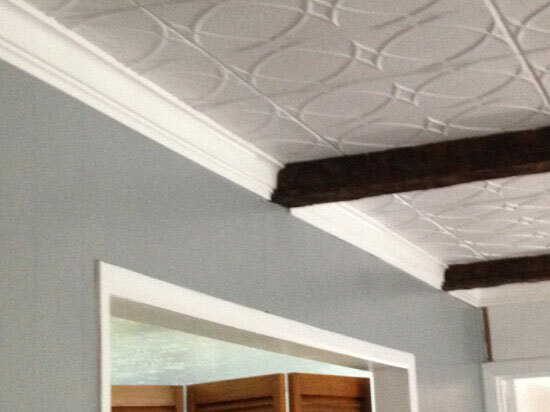 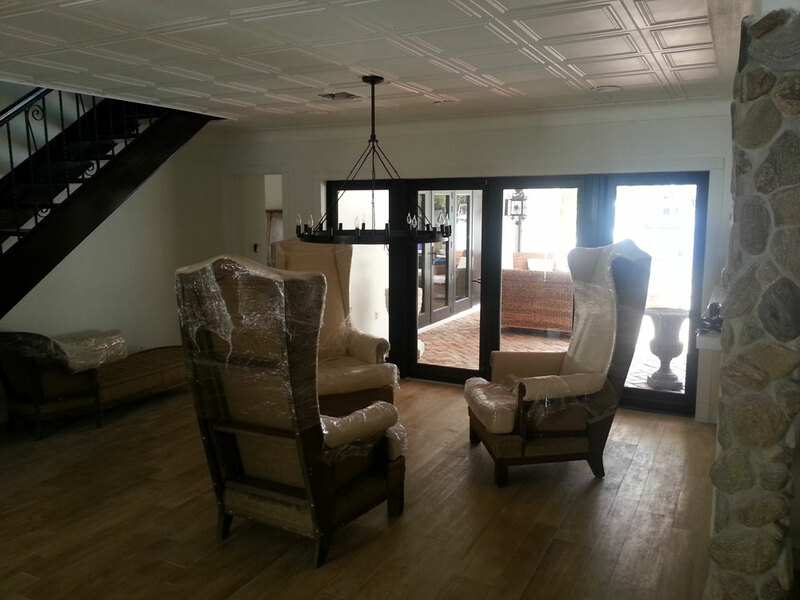 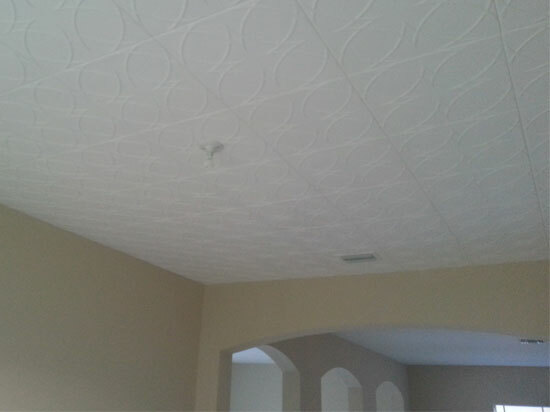 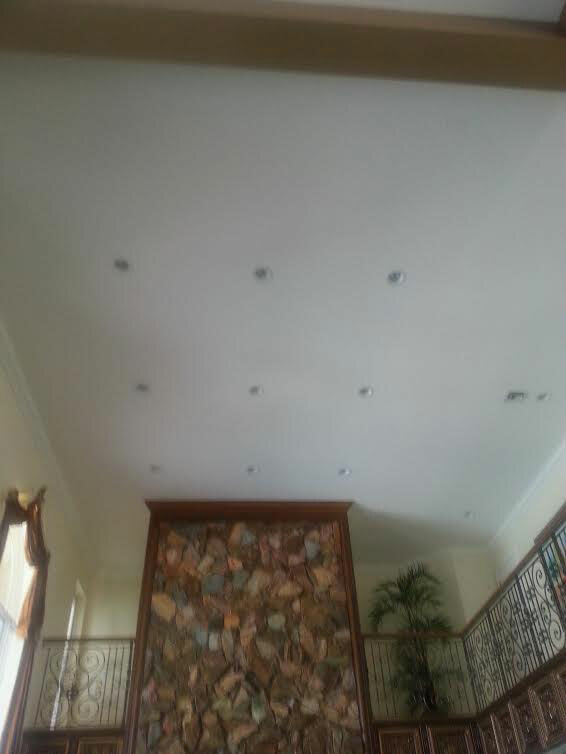 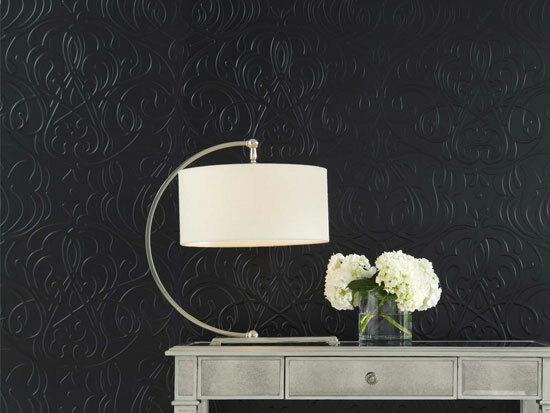 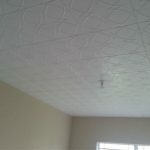 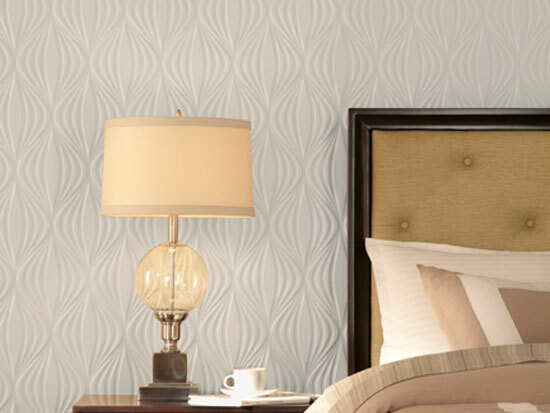 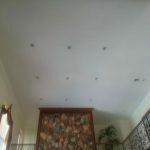 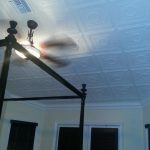 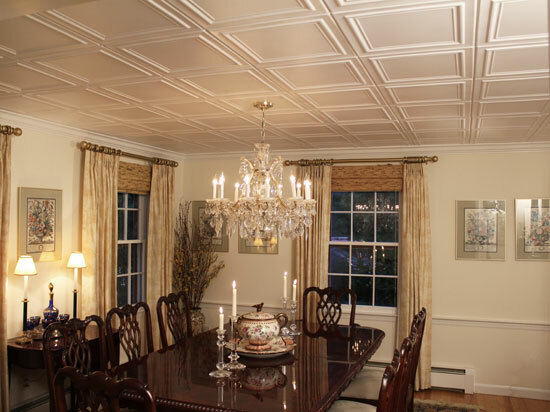 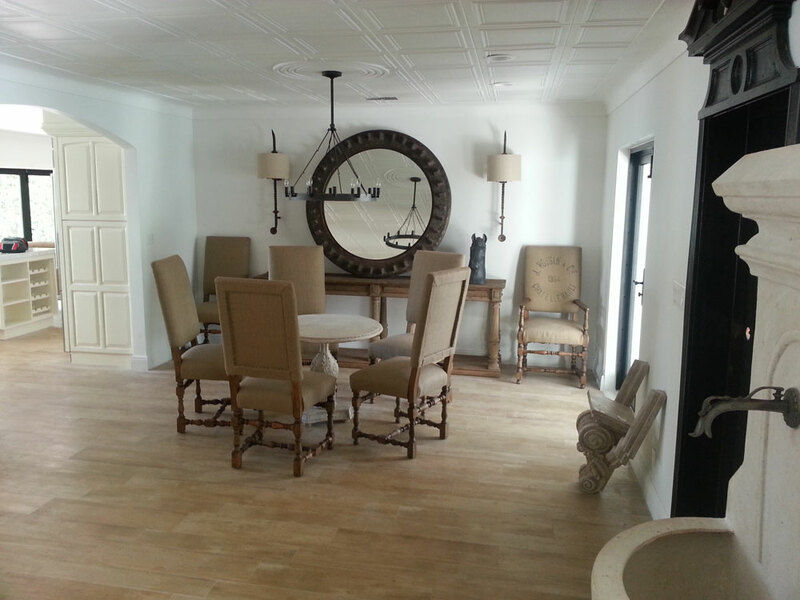 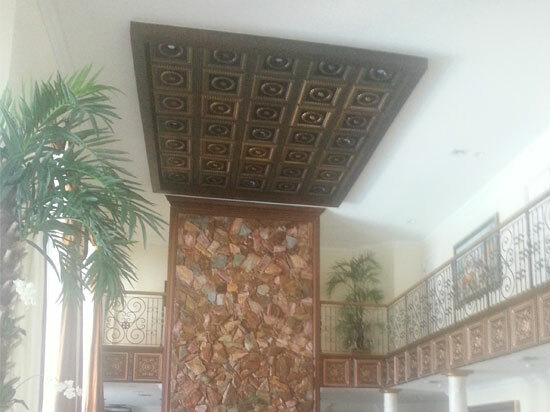 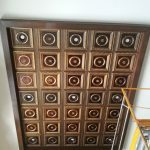 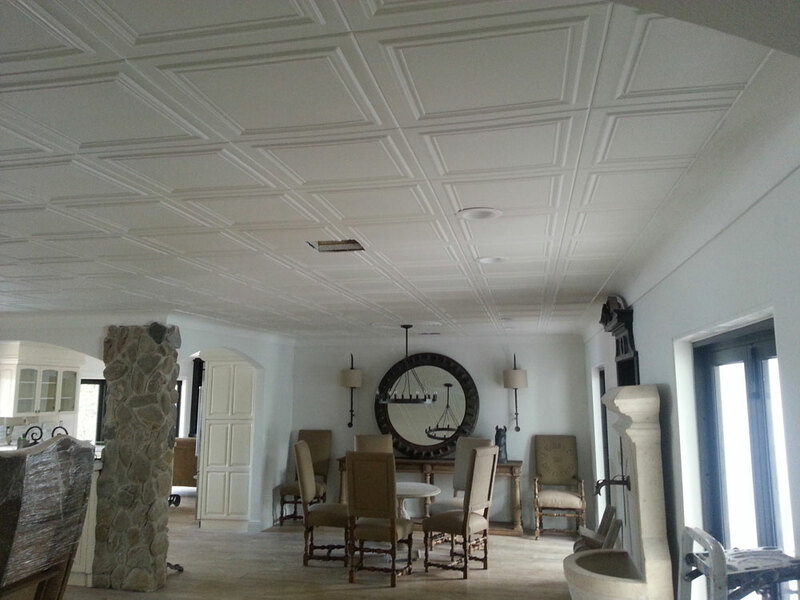 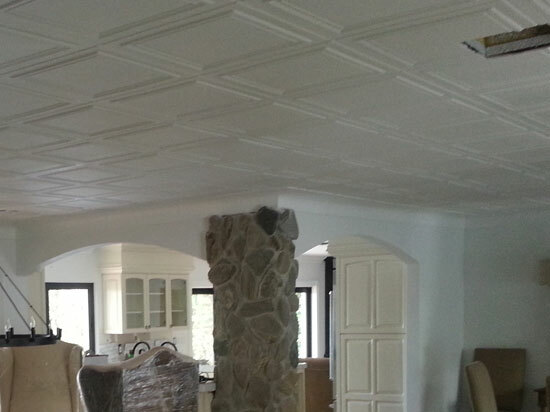 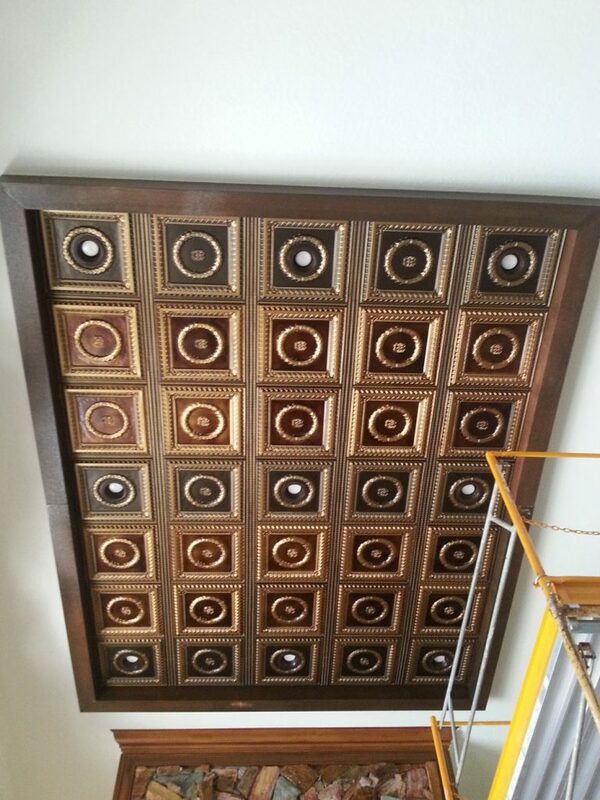 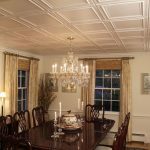 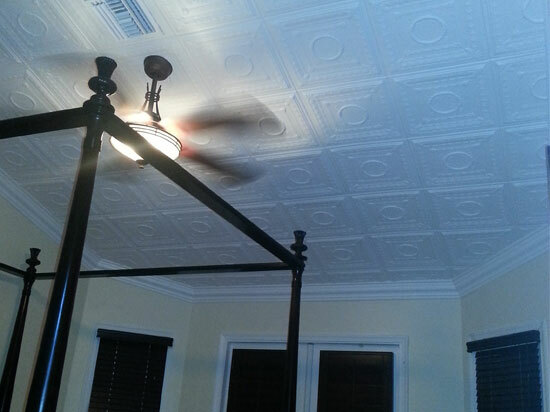 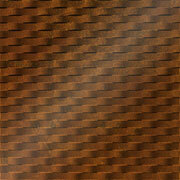 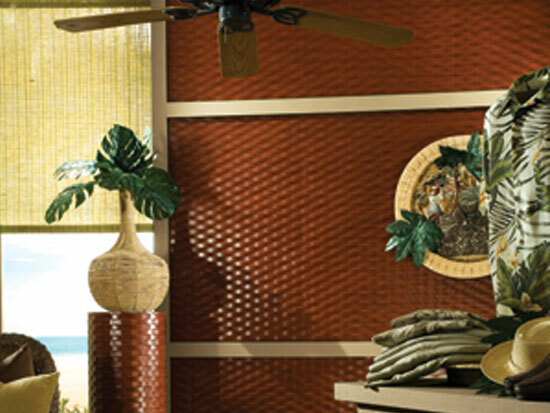 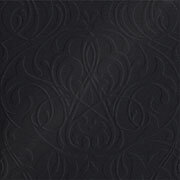 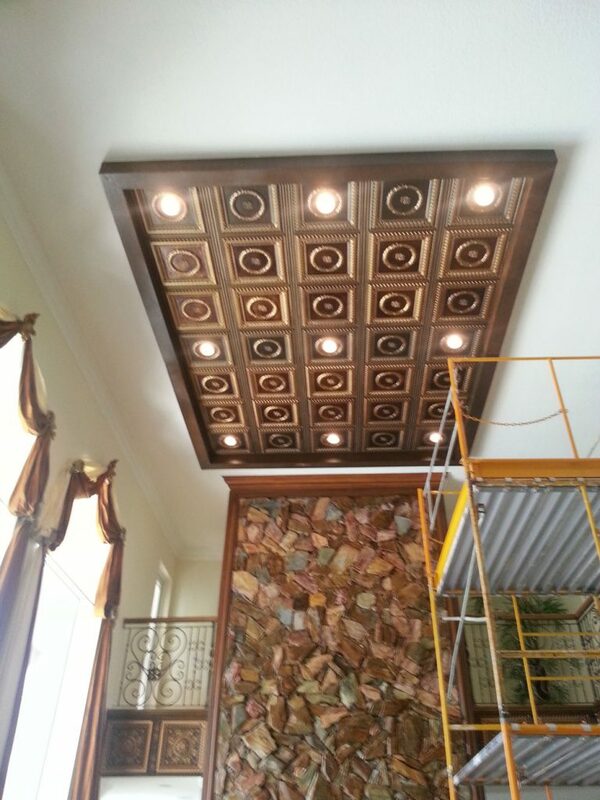 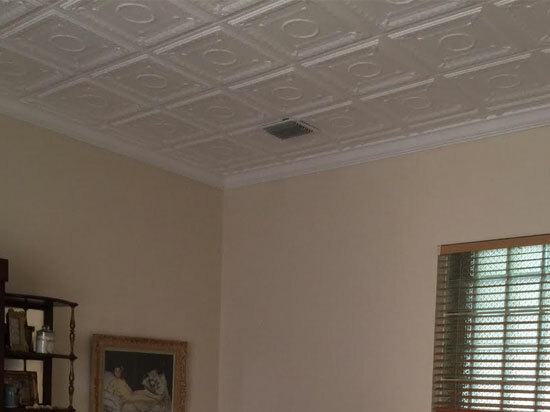 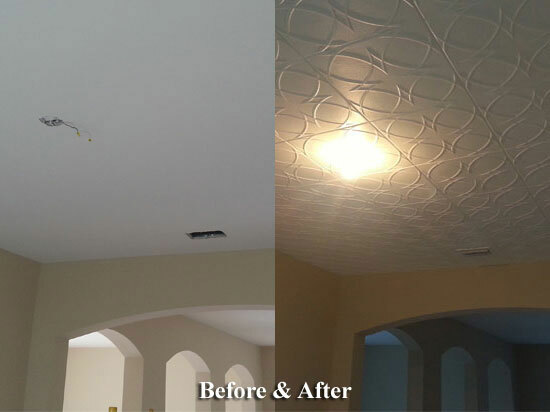 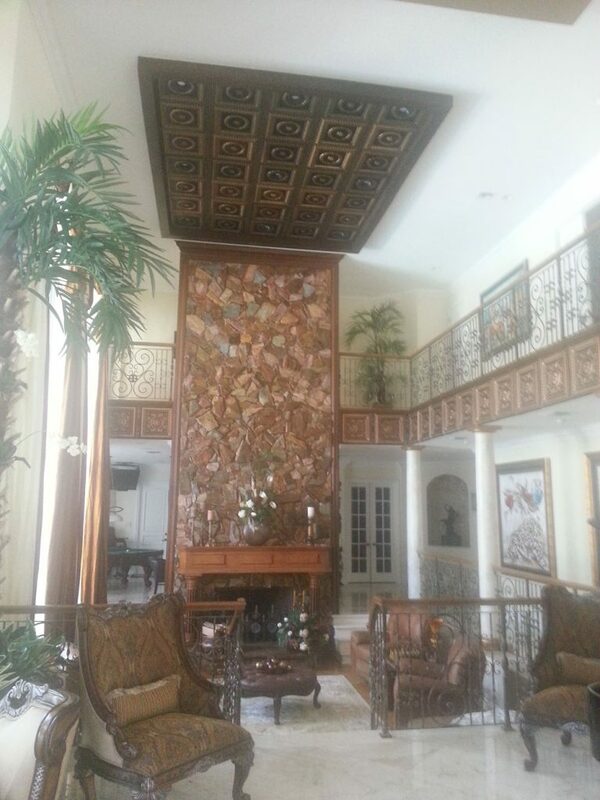 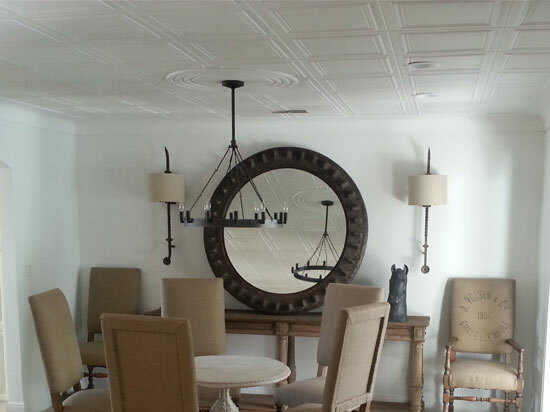 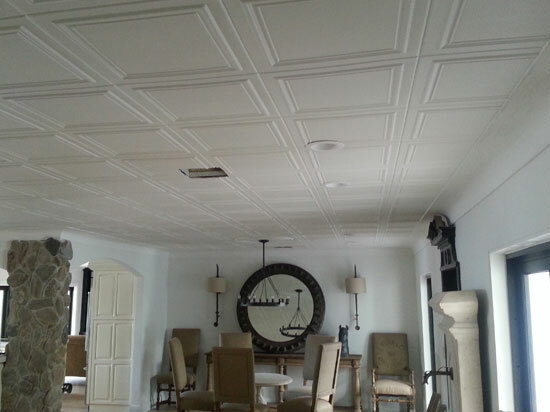 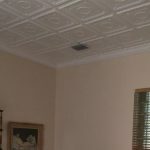 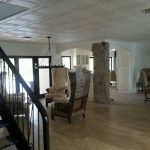 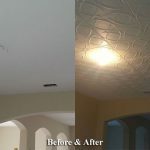 Install them and you'll see why the R 24 Line Art decorative ceiling tile has become a modern classic.